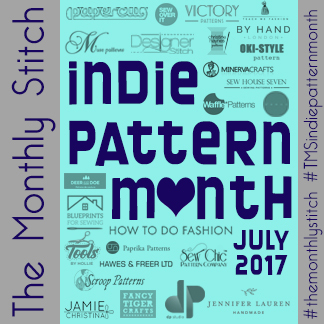 Below you will find links to all the posts regarding Indie Pattern Month 2017, an easy way for you to keep up (or catch up) with what is happening. The competition deadlines run on UTC time – you can check the current UTC time here or click on the image below to use an interactive graphic to check our local time. Any Indie pattern brand is eligible – Need an idea of what counts? Check out our own amazing resource page of Indie Pattern Designers. Do you want to use a pattern brand that isn’t listed but you think it counts? Use the contact form at the bottom of that page and we’ll check it out. Patterns may be pdf or envelope patterns and must be available for purchase and/or download by the general public. Free and OOP patterns by an Indie Designer are eligible. Magazine or book patterns are not permitted unless the specific pattern is also available for purchase as a separate pattern in it’s entirety (i.e. pattern + instructions). Items must be sewn specifically for Indie Pattern Month 2017. No earlier makes to be submitted. Items must not have been blogged about, either on TMS or on another blog, prior to the week the contest they are being entered into is running. Exception: A previously entered item from one of the first three IPM 2017 contests may be re-entered into Contest Four. A minimum of one other garment must be made to complete the entry. This additional item must be made specifically for IMP2017 (no earlier makes to be submitted). Each entry post must go up on the TMS blog during the week for that category and must be correctly categorised and follow ALL the posting rules. You might find is useful to read Kat’s post about Creating a Great Monthly Stitch Post. The finalists for each category will be posted on The Monthly Stitch three days after the contest closes. 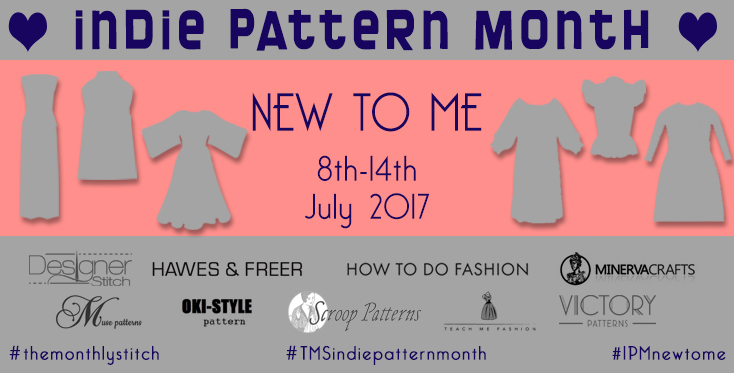 Week One: Long time TMS Collective rejoice, Dresses has returned for IMP2017! Week Two: It wouldn’t be Indie Pattern Month without discovering new Indie Pattern Designers! 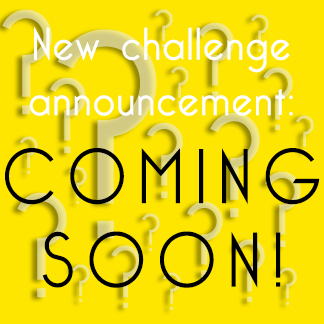 New To Me Launch Post, Sponsors and Prizes! Week Three: Take it up a notch and wow us with your mad hacking skills! Hack It! Launch Post, Sponsors and Prizes! Week Four: It’s time to show us what you’re made of! Proclaim your Indie Pattern Queen (or King) status by dressing ALL INDIE and take your place among Indie Royalty. Must be at least two garments, which work together in an outfit. May include a previously entered item from one of the first three contests. A minimum of one other garment must be made to complete the entry. This additional item must be made specifically for IMP2017 (no earlier makes to be submitted). Garments in addition to the minimum of two will carry more weighting and increase your score. Your entire outfit must be made specifically for IPM2017. No RTW or earlier makes may be used to complete your outfit. Indie Royalty Launch Post, Sponsors and Prizes! The Monthly Stitch says thank you to all our fabulous sponsors who have contributed to IPM2016. Read about Indie Pattern Month 2016 and see all the fabulous posts from our contributors. Read about Indie Pattern Month 2015 and see all the fabulous posts from our contributors. You must apply and be approved to post on The Monthly Stitch Blog. You can use the sign up for at the bottom of this page. 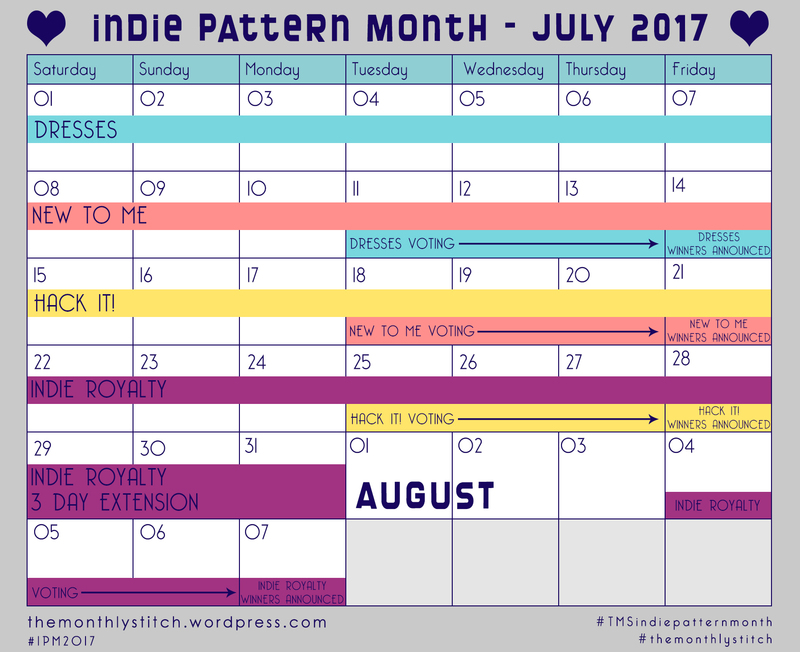 Please keep in mind that we get really busy working on Indie Pattern Month and we often get a lot of sign up requests in July at the last minute. We must approve sign-ups manually and it can take up to 72 hours for us to complete the process so please don’t wait until the day your contest is closing!